Modern styling has a functional design. Hydrostatic drive with Twin Touch™ control is easy to operate. Four-wheel power steering for superior maneuverability and trimming. Thoughtful designs promote safe operation and convenient service. 48-in. (122-cm) Accel Deep™ Mower Deck cuts clean and is versatile. 54-in. (137-cm) and 60-in. 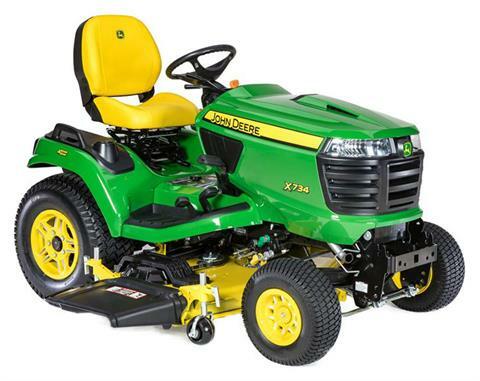 (152-cm) Edge™ High-Capacity (HC) Mower Decks are heavy duty. MulchControl™ system options for Accel Deep™ and High-Capacity Mower Decks are convenient to use. Snow removal and yard care equipment.